Discover how to create your own unique script. Even though the art of calligraphy is centuries old, Molly Suber Thorpe is ready to teach anyone how to find their own unique style. All crafts, from knitting to making home decorations, have undergone a revival of popularity as they offer an escape from our increasingly digital world. They are also opportunities to express our creative side. 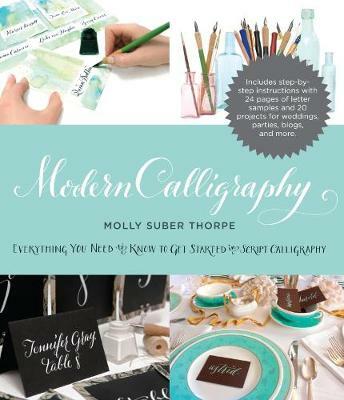 Molly Suber Thorpe provides an accessible and comprehensive guide to getting started on your own calligraphic projects. Easy-to-understand instructions for designing your own wedding invitations, greetings cards, place cards and many more!